Hiring a Communications Consultant? What to Look For - Communicate! At your nonprofit, you’re good at what you do, but talking about it is a different story. Writing, producing video, creating content for websites and blogs, building relationships on social media…this is a specific skill set. Not everyone has it. Not everyone has time to learn it. What should you look for in a communications consultant? You decide to hire a communications consultant. What should you be looking for? Robert J. Holland gave us a list of seven tips for businesses that I think will work just as well for nonprofits, with a little translation. Be clear about why you are hiring a consultant. Are you looking for a strategist to guide your communications, a writer to spruce up your content, or a social media manager? Or all of the above? Hire a consultant who has worked in nonprofits. Your consultant need to understand the way that nonprofits work and the demands we face. Hire a consultant with practical communication experience. Look not only at the resume and writing samples they give you but at the website and social media they use for their own business. Hire a consultant who asks a lot of questions. If the person comes to you with ready-made answers, they’re not going to be much help. Hire someone who asks more questions than you think are necessary. 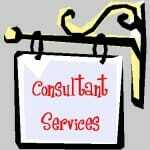 Hire a consultant with an affable personality and straightforward delivery. If people at your agency don’t like the consultant, they won’t listen to the advice. If they listen but don’t understand it, what good is it? Hire a consultant who will tell you when the emperor has no clothes. Something you’re doing isn’t working as well as it should, or you wouldn’t hire a consultant in the first place. You need a truth-teller: someone who will look you in the eye and tell you what needs to change. From my point of view as a communications consultant, I love it when a nonprofit or small business approaches me with these seven points in mind. I know we’ll reach an agreement and work together well. What else would you look for when hiring a communications consultant?